Jon Hendricks – one of the originators of jazz vocalese – died on Wednesday, Nov. 22, in New York City. 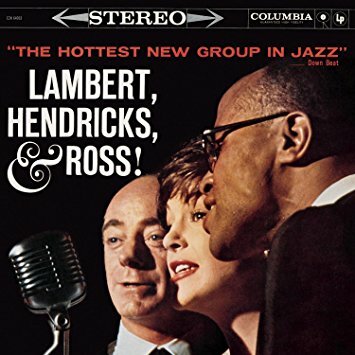 Perhaps best known for his collaboration with Dave Lambert and Annie Ross in the vocal group Lambert, Hendricks & Ross, Hendricks was 96 years old. He had been hospitalized with broken hips. The death was confirmed by the vocalist Kurt Elling, who considered Hendricks a mentor and major influence. Hendricks was born on Sept. 16, 1921, in Newark, Ohio, one of 15 children. His father was a pastor and eventually settled in Toledo, which was where Hendricks developed as a musician and singer. “I started singing when I was 6,” Hendricks told Roseanna Vitro in an interview for JazzTimes.com. “My father was the pastor at Warren AME Church.” Remarkably, the young Hendricks was an early adopter of the legendary pianist Art Tatum—or, perhaps more accurately, it was the other way around. After serving in the Army during World War II, Hendricks returned to go to college at the University of Toledo, where he was a pre-law student. When his G.I. Bill funds ran out, he took Charlie Parker’s advice to move to New York City, and he soon fell in with another singer named Dave Lambert. In 1955, the two did a vocal recording of “Four Brothers,” and started work on an album they planned to call Sing a Song of Basie. Their plan was to use a group of studio singers, but it was the producer Bob Bach who connected them with fellow vocalist Annie Ross. The trio became a sensation thanks to the Basie album and a subsequent string of live performances at concerts and festivals all over the world. They released a series of albums, including The Swingers! (1959), The Hottest New Group in Jazz (1959), Lambert, Hendricks & Ross Sing Ellington (1960) and High Flying (1962). Nothing quite like it had been seen or heard before. Hendricks quickly developed a gift for writing lyrics to song melodies as well as instrumental solos. The term vocalese seemed to be created just to describe his style—one that would influence generations of jazz singers, from Al Jarreau to Bobby McFerrin to the Manhattan Transfer to Elling. But the group’s career was cut short by tragedy in the mid-’60s, when Lambert died in a roadside car accident. “He was always a good Samaritan,” Hendricks told Lees about Lambert. “If anyone was in trouble on the road, he’d always stop and help.” On Oct. 3, 1966, Lambert was driving on the Connecticut Turnpike on his way back to New York from Cape Cod, where he had played a gig without Hendricks and Ross. He saw a motorist on the side of the road dealing with a flat tire and stopped to help. “It was the damnedest thing,” Hendricks told Lees. “He was kneeling down, working on the lugs of the wheel. A big semi went by and sucked him in.” Lambert died instantly. Despite their grief and loss of a musical soulmate, both Hendricks and Ross continued their careers as solo artists. Hendricks spent some time in England in the late-’60s and early ’70s, while raising his four children and also touring in Europe and Africa. He eventually settled in Northern California, where he added professional writer to his résumé. Although his recording career would be somewhat sporadic over the next few decades, he continued to be a vibrant presence on the jazz scene through performances and collaborations with such kindred spirits as the Manhattan Transfer. In 2003, Hendricks toured with a multigenerational male vocal group that was built around him; also featuring Elling, Mark Murphy and Kevin Mahogany, it was billed as “The Four Brothers.” He also loved performing with his wife, Judith, and daughters, Michele and Aria, as the Hendricks Family. In his later years, he returned to his hometown to teach at the University of Toledo, where he continued to influence and mentor countless singers, songwriters and instrumentalists. His influence on subsequent jazz singers was profound—and it didn’t stop with jazz stylists. Van Morrison and Joni Mitchell were both directly affected by Hendricks. “I had jazz records in high school,” Mitchell told JT’s Geoffrey Himes in 2007. “Lambert, Hendricks & Ross, Oscar Brown Jr. and Billie Holiday.” Indeed, Mitchell would later record her version of LH&R’s “Twisted,” with Ross’ lyrics. Hendricks is survived by his daughters, Michele and Aria, and son, Jon Jr., as well as three grandchildren, Colleen, Azaria and Daniel. Hendricks’ wife and partner of 57 years, Judith, died two years ago. Read Gene Lees’ profile of Jon Hendricks and Annie Ross. 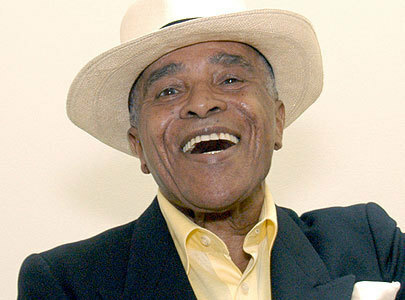 Read Roseanna Vitro’s interview with Jon Hendricks from her Voices in Jazz series at jazztimes.com.